Find absolutely everything you need, and everything you need to know, to make your own bed socks. 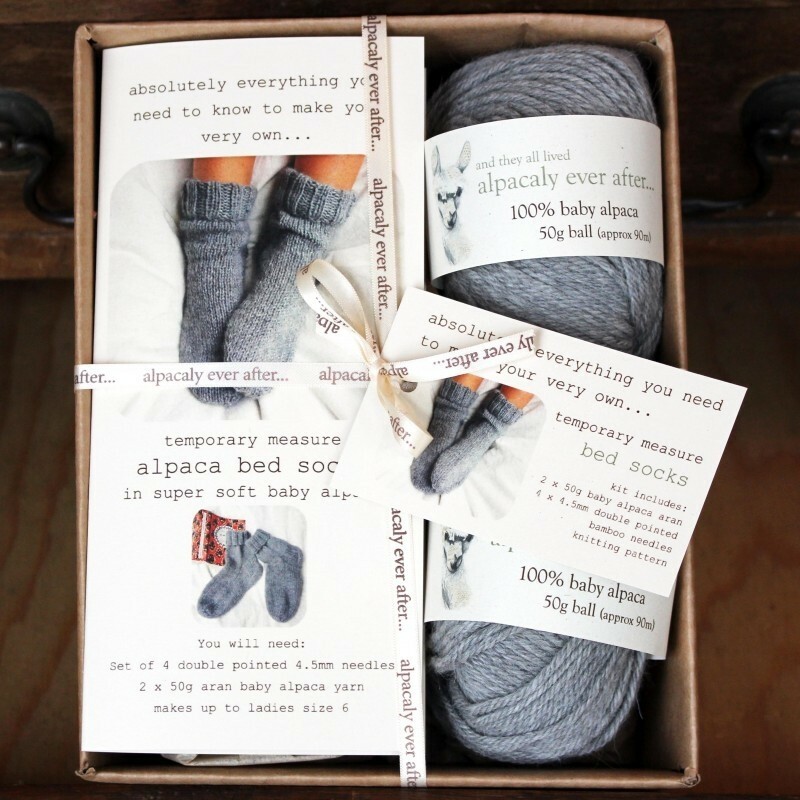 Get knitting yourself or give the kit to a budding knitter as it's beautifully presented too. 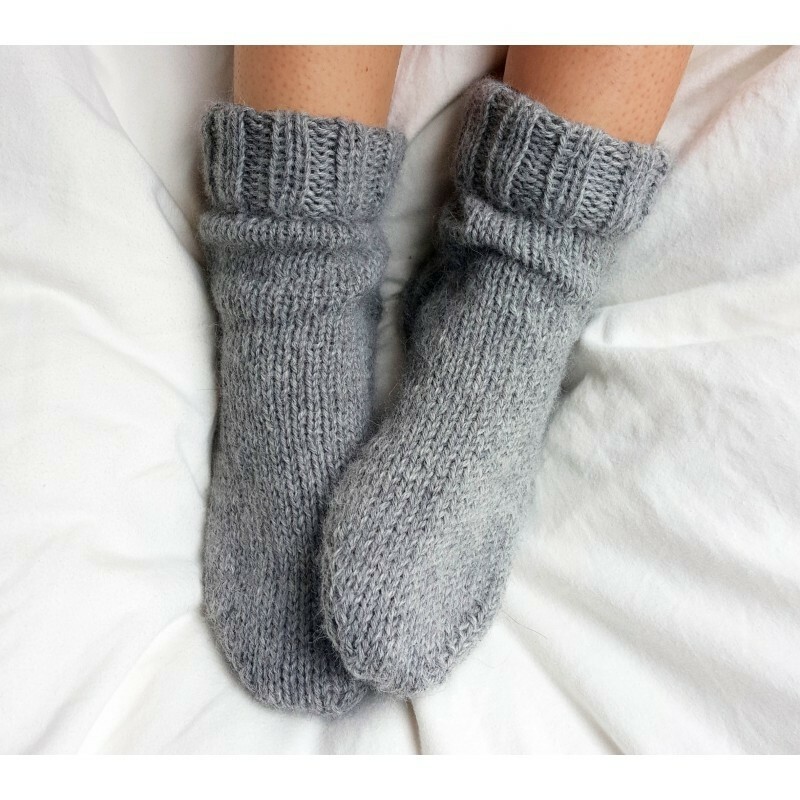 The knitting kit includes: 2 x 50g balls of baby alpaca aran yarn Set of 4 double pointed 4.5mm bamboo needles Knitting Pattern Baby alpaca is super soft, lightweight and hypoallergenic.These socks will keep the coldest of feet snug through the night! The yarn supplied will knit up to a ladies size UK 6/7.